Emirates airline today announced an order for 40 A330-900 aircraft, and 30 A350-900 aircraft, in a heads of agreement signed with Airbus. The deal is worth US$ 21.4 billion at list prices. The latest generation Airbus A330neo and A350 aircraft, will be delivered to Emirates starting from 2021 and 2024 respectively. In addition, Airbus and Emirates reached an agreement on outstanding A380 deliveries. The airline will receive 14 more A380s from 2019 until the end of 2021, taking its total A380 order book to 123 units. Commenting on the agreement on A380 deliveries, His Highness Sheikh Ahmed bin Saeed Al Maktoum, Chairman and Chief Executive, Emirates Airline and Group, said: “After many months of discussions, we have come to an agreement with Airbus and Rolls-Royce. “Emirates has been a staunch supporter of the A380 since its very inception. While we are disappointed to have to give up our order, and sad that the programme could not be sustained, we accept that this is the reality of the situation. For us, the A380 is a wonderful aircraft loved by our customers and our crew. It is a differentiator for Emirates. We have shown how people can truly fly better on the A380, and Emirates has set the standards for that by introducing customer experiences that are unique to the A380 like our Shower Spas and Onboard Lounge. The A380 will remain a pillar of our fleet well into the 2030s, and as we have always done, Emirates will continue to invest in our onboard product and services so our customers can be assured that the Emirates A380 experience will always be top-notch. The A330neos will be deployed on Emirates’ regional destinations, and also enable the airline to serve smaller airports and thereby open new routes and connectivity for its global network. 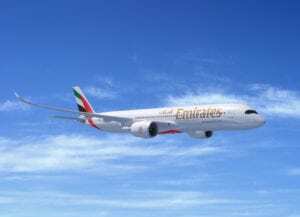 The A350s will supplement Emirates’ long-haul operations, providing the carrier with added flexibility in terms of capacity deployment on 8 to 12 hour missions from its Dubai hub. The Bahamas is the Center of the Caribbean this week, but it appears not all Caribbean regions much noticeable Jamaica are not represented. The Hon. Dr. Hubert A. Minnis, a proud Bahama prime minister delivered the keynote opening address at SOTIC2018 at the Atlantis Resort in the Bahamas.